The powerful health benefits of wheat include its ability to control obesity, boost energy, inhibit type 2 diabetes, improve metabolism, and prevent asthma and gallstones. It also reduces the risk of breast cancer, protects against heart diseases, and boosts digestion. Unrefined wheat contains complex carbohydrates, dietary fiber, and a moderate amount of proteins. It is rich in catalytic elements, mineral salts, calcium, magnesium, potassium, sulfur, chlorine, arsenic, silicon, manganese, zinc, iodine, copper, vitamin B, and vitamin E. It is abundant in  antioxidants, especially in carotenoids such as beta-carotene. Wheat germ, which is the heart of the kernel, is particularly rich in vitamin E. It is known to be the main source of the vitamin B complex in dietary structures throughout the world and includes vitamins like thiamin, folic acid, vitamin B6, and minerals like manganese, magnesium, and zinc. Wheat germ oil improves strength and increases lifespan. Wheat bran, the outer layer  of the kernel, is rich in phytochemicals and antioxidants called lignans, ferulic acid, phytic acid, alkylresorcinols, lutein, flavonoids, and saponins. Wheat, a whole grain, has a natural ability to control weight, but this ability is more pronounced  among women. Women who consumed whole grain products over long periods showed considerably more weight lossthan others. Also, the American Journal of Clinical Nutrition has shown through research that whole wheat, rather than its refined form, is a good choice for obese patients. Whole wheat with its vitamin B content helps provide the body with energy. Moreover, the whole grain contains complex carbohydrates, which keeps you feeling full longer and gives you energy over a longer period of time. Whole grains like wheat are immensely effective in patients with metabolic disorders. Common types of metabolic syndromes  include visceral obesity, also known as the “pear-shaped” body, high triglycerides, low levels of protective HDL cholesterol, and a high blood pressure. Intake of whole grain products protects against these conditions. Also, research showed  that a higher intake of whole grains (about three servings per day) was associated with lower BMI and central adiposity. Wheat is rich in magnesium that acts as a co-factor for more than 300 enzymes. These enzymes are involved in the body’s functional use of insulin and glucose secretion. Moreover, regular consumption of whole grains promotes healthy blood sugar control. People who suffer from diabetes are able to keep their sugar levels under control by replacing rice with wheat in their diet. The betaine content of  wheat prevents chronic inflammation, a key constituent in rheumatic pains and diseases. Its anti-inflammatory property reduces the risk of other ailments like osteoporosis, heart diseases, Alzheimer’s disease, cognitive decline, and type-2 diabetes. Since whole wheat is rich in insoluble fiber, it assures a quick and smooth intestinal transit time and lowers the secretion of bile acids. Excessive bile acids are a major cause of gallstone formation. 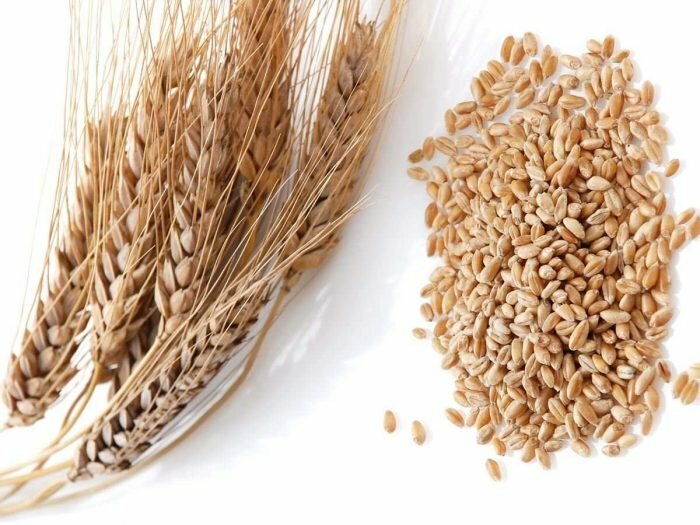 In various surveys by the American Journal of Gastroenterology, it has been proven that whole grain bread and cereals help prevent gallstones. The fiber in whole wheat products boosts the digestive process in the body and improve the overall metabolism. Doctors recommend eating whole grain bread and other fiber-rich foods. Research has shown  that foods made from refined grains not only tend to increase weight but also increase the hazards of insulin resistance. When you maintain a fiber-rich diet comprising wheat bread and cereals that are  high in bran, you can be confident that problems such as flatulence, nausea, constipation, and distension will be alleviated in no time. This grain is the most popular and easily available bulk laxative. Also, diverticulitis often occurs due to inflammation and lower intestinal aches. This can also lead to chronic constipation and unnecessary straining, which can result in a sac or a pouch in the wall of the colon. Such cases can be easily dealt with naturally by keeping up with a fiber-rich diet and including whole grains on a regular basis. Wheat acts as an anti-carcinogenic agent, particularly in women. Studies say that around 30 grams consumed daily are enough for women to reduce the risks  of breast cancer. Reports prove that pre-menopausal women who consumed it had a 41% reduced risk of breast cancer in comparison to others who ate other forms of fiber. Furthermore, research at the UK Women’s Cohort Study  found that a fiber-rich diet, with whole grains and fruits, is extremely important for women to keep breast cancer at bay. Whole wheat increases energy levels and vitality in women. The long-term Women’s Health Initiative Observational Study showed that the  increased consumption of whole grain boosted their energy levels and prevented weight gain, type 2 diabetes, and kept their BMI levels low. The study also showed that women who ate more whole grains were likely to have a healthier diet and a higher intake of fruits and vegetables. Stone-ground whole grain products contain folate and vitamin B, which helps reduce pregnancy and breastfeeding problems. Wheat bran considerably reduces  bile acid secretion and bacterial enzymes in the stool, thereby cutting down chances of colon cancer. Furthermore, the grain contains lignans , which are phytonutrients that act like hormones. The lignans often occupy the hormone receptors in our body, thereby alleviating certain risk factors for cancer. The International Study on Allergy and Asthma in Childhood proved through numerous studies that a wheat-based diet has the capacity to lower chances of developing asthma by almost 50%. Also, bronchial hyperresponsiveness is the key factor that encourages asthma. This condition is characterized by the narrowing of the airways and increased sensitivity. In many surveys, it has been seen that children who eat whole grains and fish in high amounts do not suffer from such ailments, as these foods have a high amount of magnesium and vitamin E.
Note: However, in some cases, wheat consumption may be harmful to asthma patients, since it also happens to be a food allergen closely linked to asthma. Consult a doctor who can give you a complete examination and diagnosis of possible allergies you may have. Higher intake of unrefined wheat products can help increase the fiber and protein content in the diets in postmenopausal women. This helps in weight management, hormone balance, and relieves postmenopausal symptoms. The lignans content can help prevent postmenopausal cancer. Sprouted wheat berries are excellent sources of  antioxidants and high fiber, which helps detoxify the liver. The liver is one of the largest internal organs in the body, and keeping the liver healthy helps remove toxins regularly from the body. Whole wheat is rich in plant lignans  called enterolactone, which protects against heart diseases. A Danish journal published a study that showed that women eating whole grains had considerably higher blood levels of this defensive lignan. Furthermore, whole grain wheat products, which are high in dietary fiber, considerably reduce blood pressure levels and lessen the possibility of a heart attack. A high intake of this grain lowers triglycerides or fat in the blood. This slows down the progression of atherosclerosis and stroke. A recent study published in the  British Medical Journal also concluded that people who do not have gluten sensitivity should not avoid such products. Following a gluten-free diet, as a fad could lower the overall consumption of whole grains, which leads to an increased risk of heart disease. Wheat bran has a prebiotic effect on the human gut microbiota due to its high level of fiber. It helps feed the ‘good’ bacteria in the gastrointestinal tract, which improves digestion and increase nutrient uptake in the body. Also, bulgur, a form of this grain, is a great source of resistant starch. It does not get digested in the small intestine, and thus becomes food for gut flora. Selenium, vitamin E, and zinc in wheat help nourish the skin, fight acne, prevent sun damage, and help prevent skin cancer. Also, the high fiber content keeps the digestive system at its optimal best, which helps remove toxins regularly. This, in turn, helps keep the skin smooth and youthful. Zinc in wheat helps promote healthy hair and protects the hair from damages caused by environmental factors. Vitamin E, niacin, and zinc in whole wheat lower the risk of macular and cataract degeneration. Lutein in the unrefined grain helps improve  eye health. Iron, folate, vitamins B and E, in wheat support serotonin production and increase energy levels. This helps prevent mental diseases such as Alzheimer’s, alleviate depression, enhance mood and increase overall wellness. Whole wheat: If you buy 100% whole wheat products, you are assured of all the nutrients of the bran and the germ, as well as the endosperm. Processed wheat: Bleached white flour is obtained by processing after 60% extraction from the grain. Usually, the 40% that is removed – the outer brown layer – contains the highly nutritious bran and the germ of the wheat grain. In the process of making 60% abstraction flour, more than half of the vitamins B1, B2, B3, and E, calcium, phosphorus, folic acid, copper, zinc, iron, and fiber are lost. Sprouted wheat berries: These can be used in vegetables and various kinds of grain salads. Wheat germ: Add it to bread, pastries, cakes, or onto yogurt for an extra nutrient punch.